They’re a walking, mooing tribute to the way things used to be. A short history of longhorns on the Long X trail goes back to a day when the nation was rebuilding after the War Between the States. Longhorn cattle have a centuries-old history that is integral to North Dakota. You can see the legendary longhorns if you time it right at the Theodore Roosevelt National Park. They were gone for decades, in fact, they were nearly extinct in the 1920’s. The National. Park Service did its part to resurrect the breed. A few years ago, longhorn cattle made a repeat appearance in the Badlands of the North Unit of the National Park – six of them. Since then, the herd has been managed to reach a sustainable number of between 12 and 15. The longhorn cattle of the Theodore Roosevelt National Park are often seen along the river bottom when they come to drink. Of course, that is a laughably small herd compared to the tens of thousands that once came through here. At least three cattle trails brought massive herds of thousands of cattle to Kansas, Nebraska, Wyoming, Montana and North Dakota. More than one contributing factor led to the creation of cattle trails from Texas, some even going as far as Canada. The Long X trail is one of the trails that brought longhorns to this part of the continent. DNA tests show they come from interior Asia, including China. From India to Spain to Mexico to North Dakota! In the 1600’s, the Spanish populated herds in Mexico with longhorns, expanding north to Texas. It is said that cattle escaped or were turned loose on the open range, where they remained mostly feral for the next 200 years. That’s when they developed their drought-stress tolerance and other “hardy” characteristics. Early US settlers in Texas in the early 1800’s, rounded up wild cattle herds that roamed the area after the Spanish had left. Cowboys would ride the barren plains looking for the wild Mexican cattle running free in the sage and cactus. The early ranchers and cowboys mixed the wild longhorns with their own eastern cattle. The result was a tough, mangy animal with long legs and long horns extending up to seven feet. From the DeGolyer Library, Southern Methodist University is this 1900 photo of Texas cowboys tending a herd of longhorns to move them north. Here’s where you can read more about the history of Longhorns. Then came the Civil War. Those destructive years of heartbreak emptied out the working population of many southern states such as Texas. Ranches went untended, women folk packed up and moved to town. Livestock broke free and roamed the tall sagebrush plains of Texas. And so, the longhorn breed of cattle that were once feral returned to their range-fed freedom. Next stop: North Dakota and only longhorns could have made the trip — and a couple dozen tough cowboys. In Part 2 of the Short History of Longhorns on the Long X trail, you’ll read why the Civil War ignited the movement of cattle to North Dakota. Add your email to get a notice when Part 2 — and all the other upcoming articles are ready for you to read. See the box in the upper right? Click here to read more about the Long X recreation trail south of Watford City. Coming up in the next weeks, more on Longhorns at the Theodore Roosevelt National Park, a photo-throwback to the Snowden Bridge, a tale of why a nice young boy from Canada chose to move to North Dakota, and stay. Oh, and also coming, insight into Sitting Bull and his days in the Beautiful Badlands. And as always the latest comprehensive calendar of all the events we can find in Western North Dakota. 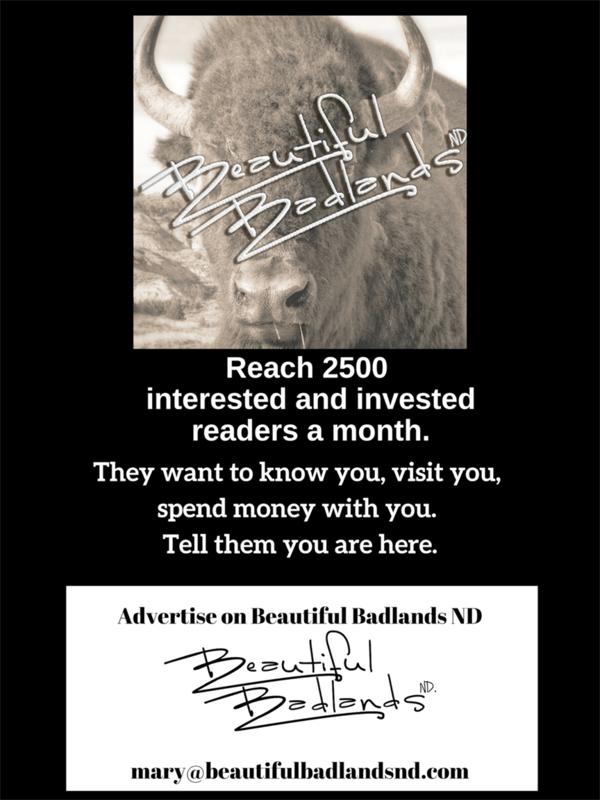 That’s the Things To Do page here on Beautiful Badlands ND, updated weekly.